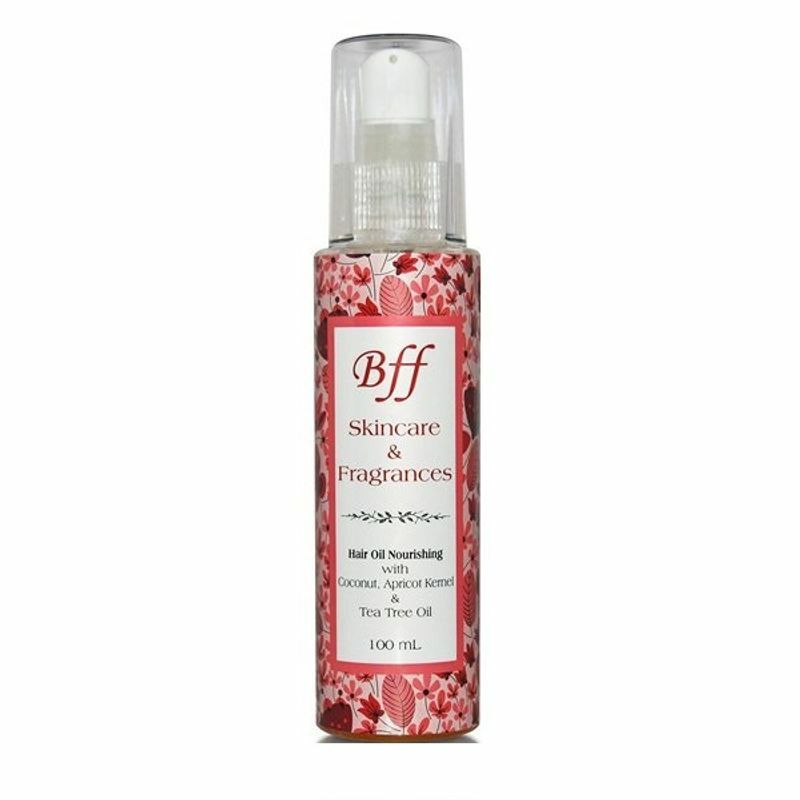 If you are tired of battling with dry and brittle hair every day, then BFF Nourishing Hair Oil is for you! It is a unique and effective blend of natural ingredients that helps treat several hair problems, like dandruff, split ends, hair fall, itchiness. This hair oil promotes hair growth, shine and provides strength and growth. Available in beautiful, floral print packaging container, this hair oil has lovely fragrance. Coconut Oil: Acts as a Moisturizer, Antibiotic, Antifungal, Multivitamin, Multi-nutrient and Antioxidant. It is considered a Top Quality Moisturizer. Hair Benefits include, Damage repair, Hair Fall, Conditioning, Anti- Dandruff and Split Ends. Apricot Kernel: Rich in Essential fatty acids, Vitamins E, B15 & B17. Hair Benefits include, Hair Shine, Strength and Growth. Tea Tree Oil: Has a light spicy, rather pungent smell. With its amazing natural properties like antifungal, antibacterial, antiseptic, antiviral and anti-infection, it is extremely effective for hair and scalp treatment, dandruff, split ends, fungal infection, itchiness. Additional Information: A premium range of antioxidant-rich skincare & beauty products, made from only natural & plant derived ingredients. 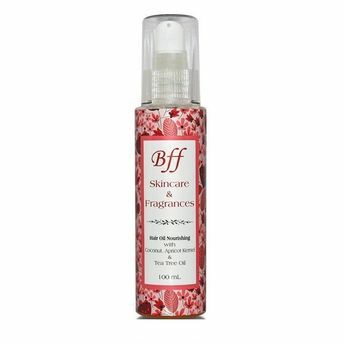 BFF Skin Care offers simple & effective skincare solutions, crafted into homemade recipes. Their range of creams, serums, lotions, oils, natural hair care products, natural skin care products, natural beauty products, etc. are made in synergy with science, nature & its elements.